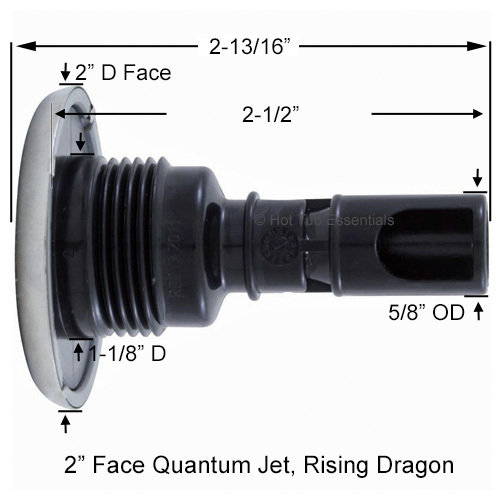 2" Face Quantum Jet Inserts by Rising Dragon. Available in Directional (Black) and Spinning (Black or Stainless Steel). Commonly used in Arctic Spas, Four Winds Spas, Morgan Spas, Sunbelt Spas and others.